Join us to celebrate “Jesus Lives” on Easter Sunday morning, April 20, 6:30 a.m., outdoors at the Lindwedel Winegarden, located ½ mile north of Hwy 376 & 265. Join us in singing Easter Victory music, and rejoice in the clear Gospel message of Easter shared by Pastor Dar Karsten. Pastor Dar leads Praise and Worship Ministries in worship each Sunday at 10:00 a.m. also at the Lindwedel Winegarden. Praise and Worship Ministries is a Christ-centered, Disciple-making Community working to bring people into a living and growing relationship with Jesus and a Christian Community. A Light breakfast will follow the Worship Celebration—everyone is invited to this worship and fellowship on Easter morning. Invite your friends, especially those who do not have a Christian Community connection! Make your Easter this year an especially memorable one—outside in God’s creation remembering what He did in Jesus’ death and resurrection for you and for all people; praising Him for His amazing love and grace! 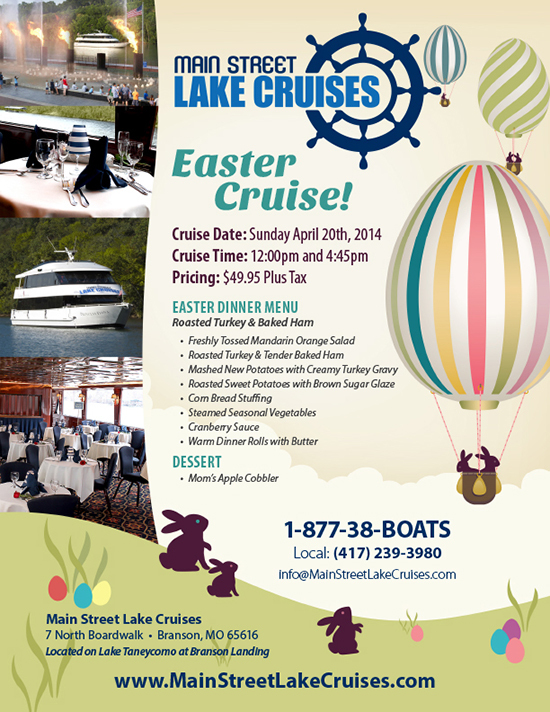 This Celebration is hosted by Praise and Worship Ministries in Branson. Check out more at www.praiseandworshipbranson.org or call 314-221-6525. “The Price is Right Live™” Stage Show at the Moon River Theatre will feature the return to Branson of celebrity host Jerry Springer, for an exclusive engagement May 23rd – June 29th and July 23rd – August 3rd. Direct from the producers of “The Price Is Right” TV show, each performance features such fan-favorites as “Plinko,” “Cliffhangers,” the “Big Wheel” and, of course, a fabulous “Showcase.” The show lets lucky audience members play for thousands of dollars in cash and prizes. Throughout an illustrious career, Springer has become a cultural icon. In addition to hosting “The Jerry Springer Show,” now in its 24th year, Jerry has served as the mayor of Cincinnati, Emmy® Award-winning newscaster, game show host, country recording artist, international emcee and TV personality. Springer has been in movies and on Broadway, and won America’s heart with his dancing on the third season of ABC’s “Dancing with the Stars.” Currently, Springer is hosting “Baggage,” on the Game Show Network. Playing to sold out audiences for over 10 years, “The Price is Right Live™” has given away well over 10 million dollars in cash and prizes. 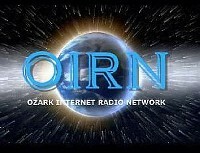 The show will run Wednesday through Sunday nights at 8pm, May 23rd through August 3rd. Kids (12 and under) are free with each paid adult ticket. “The Price is Right™” and “The Price is Right Live™” are produced by FremantleMedia North America, Inc. The TV show, now in its 42nd year, airs weekday mornings on CBS. NO PURCHASE NECESSARY. Open to US & Canada legal residents, 18+ (Residents of NY, FL, RI, PR & Quebec ineligible to participate as contestants). 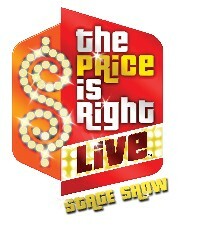 For complete rules & regulations, including eligibility requirements & free method of entry, visit www.thepriceisrightlive.com. Sponsored by Good Games Live, Inc. Void where prohibited. Price is Right Live™/©2014 FremantleMedia. All Rights Reserved.